搶先看:2018-19 SPx Hockey - 球員卡相關消息區 - 育盛球員卡(球星卡)及各類運動討論區 - Powered by Discuz! From the beginning of the line more than 20 years ago, SPx has avoided being subtle. 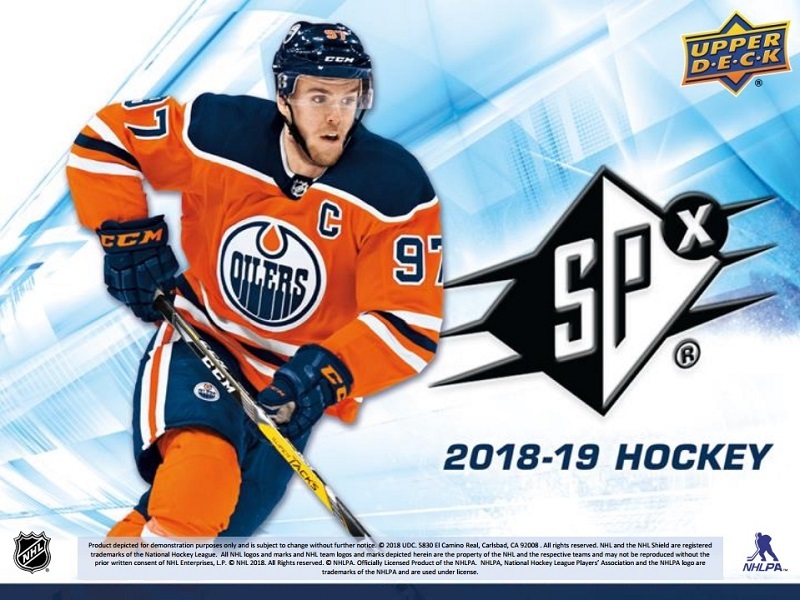 2018-19 SPx Hockey is no different, sticking with the high-end configuration it adopted in recent versions. 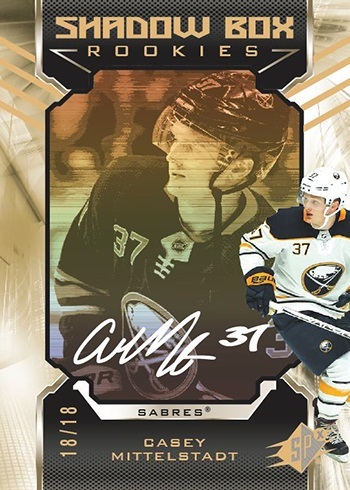 Each pack has just one card with everything falling under either the autograph, memorabilia or “tech” card (Upper Deck’s way of describing the set’s premium base cards and inserts) categories. Each four-pack box has one of each plus a fourth card that could be any of the above. 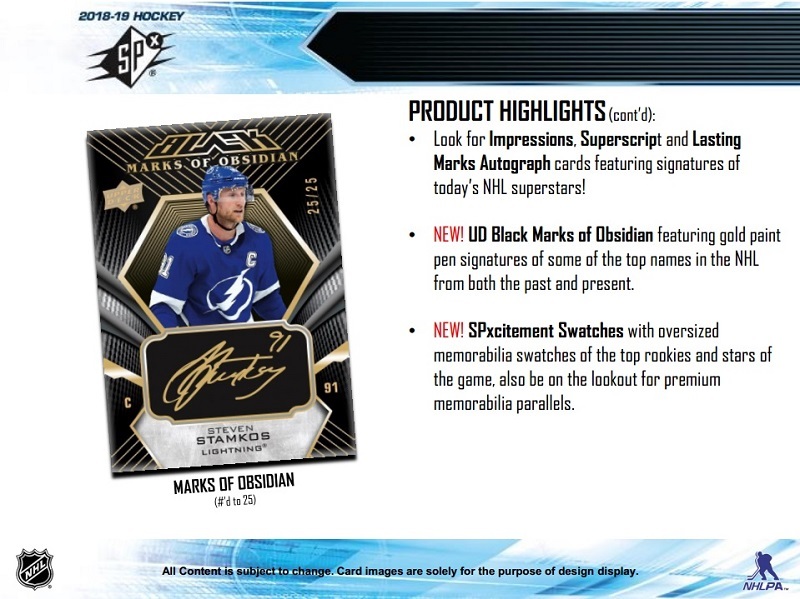 Like the previous year, the UD Black line has been folded into parts of the checklist. 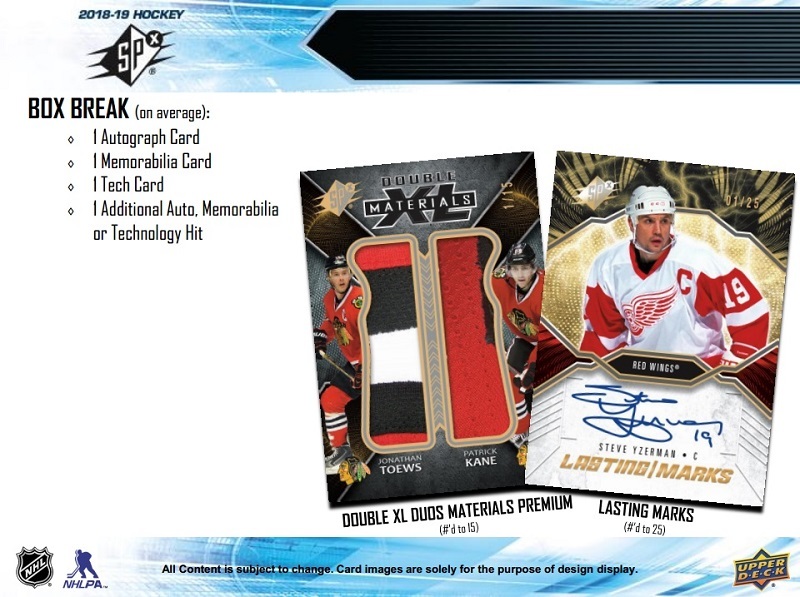 The 2018-19 SPx Hockey base set has three different sections. Rookies are the most common, although they still only have 349 copies each. Stars and Legends come numbered to 299. Parallels start with Spectrum. All have serial numbers but to varying amounts. 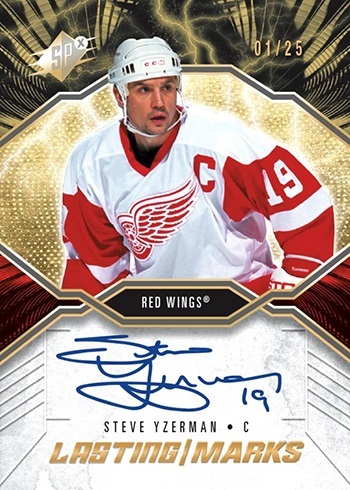 Autographs and memorabilia parallels are also randomly inserted. 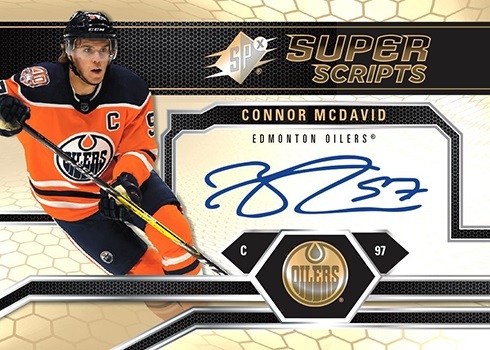 Autograph inserts in 2018-19 SPx Hockey include Super Scripts (1:16 packs), Impressions (/249 or less), Marks of Obsidian (/25) and Lasting Marks (/25). There’s several memorabilia-only inserts as well. SPxcitement Swatches (1:30) come with jumbo swatches. 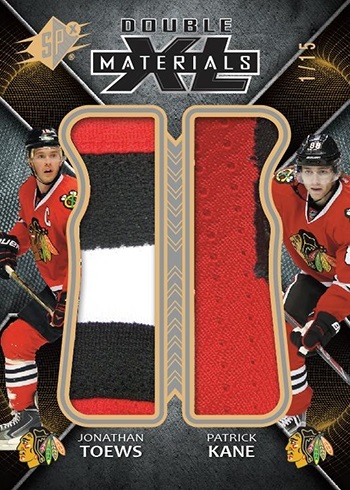 Double XL Materials (/199 or less) do as well, only doubling things up with a pair of players. Both have tough Premium Material parallels also. Extravagant Materials (1:20) and Radiant Materials (1:60) round out the SPx-branded relics. 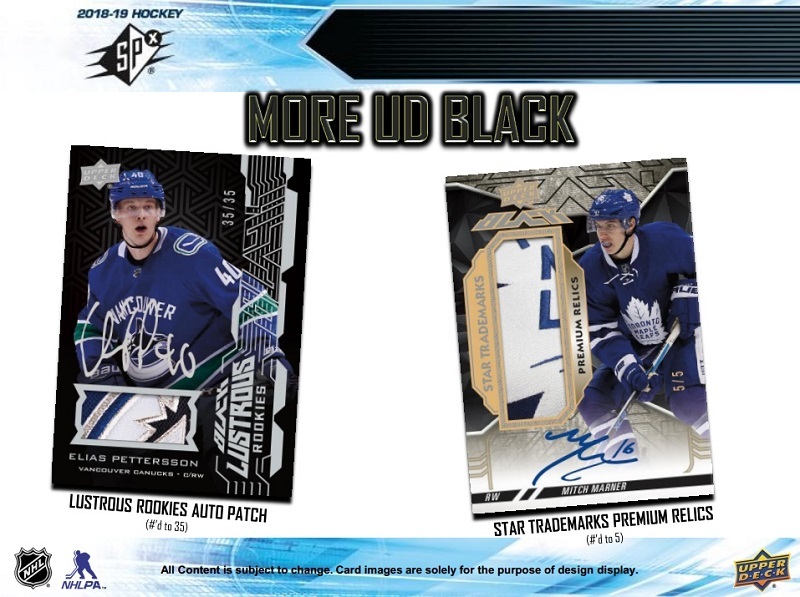 UD Black is another one of Upper Deck’s earlier premium brands. 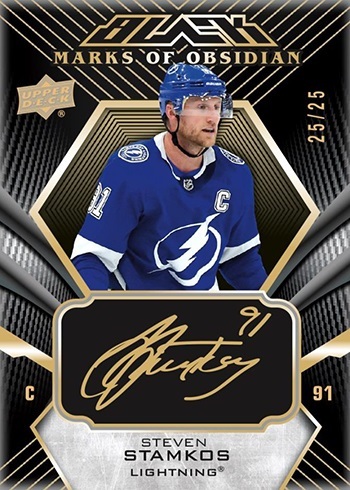 While it doesn’t have a standalone release in 2018-19 from the looks of it, the line plays a significant role in 2018-19 SPx Hockey. The cards live up to their name thanks to their dark, contrast-driven designs. 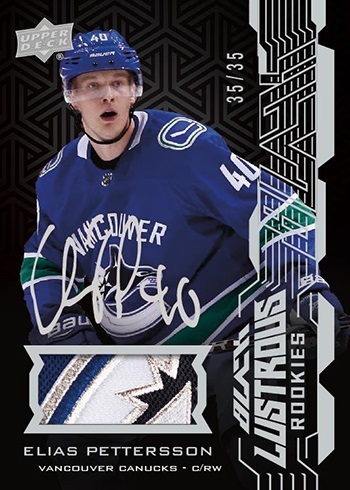 UD Black Lustrous Rookies come numbered to 299. Autograph and jersey parallels are each 1:16 packs. 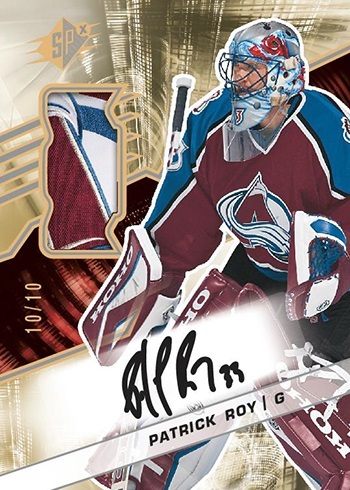 Other versions include Purple (/25), Purple Patch (/35), and Auto Patch (Tier 1 – /65, Tier 2 – /35). Obsidian Scripts (1:200) and Obsidian Scripts Rookies (1:400) expand the signature checklist. Both have Purple (/35) and Gold Spectrum (/5, Rookies – /10) parallels as well. Taking a similar approach only with memorabilia are Obsidian Material Scripts. Rookies are serial-numbered to 49 while other players have varying quantities. 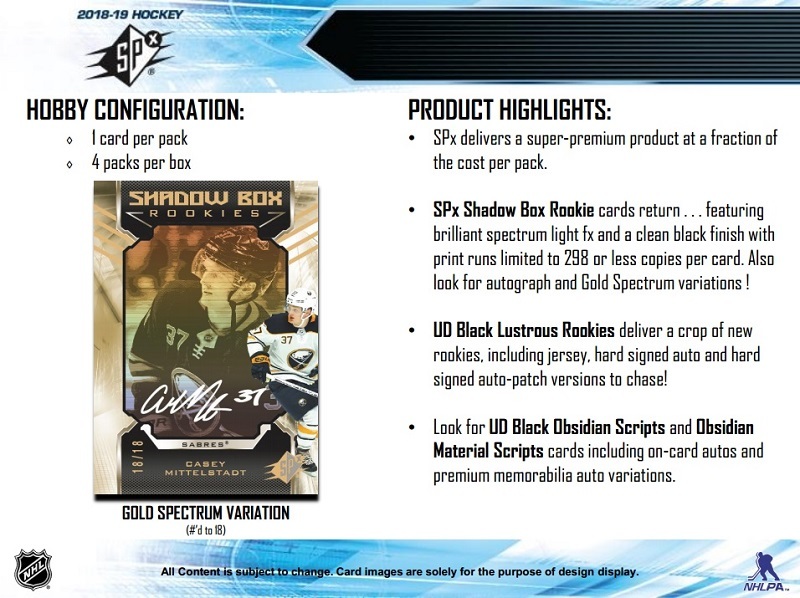 Purple and Gold Spectrum parallels are also in the mix here. Finally, there are Star Trademarks (/199) and Rookie Trademarks (/299) as well as their Auto Patch parallels.